Your tab will be executed in the context of the underlying SharePoint site behind of the specific team. This means that you can take advantage of any SharePoint specific APIs or functionalities in your web part. At this time this functionality is not fully implemented and is not the recommended way to deploy your SharePoint Framework web part to Microsoft Teams as a custom tab. This document will be updated when this functionality has been deployed across SharePoint Online. Until that time, the recommended approach is to install SharePoint Framework web parts as custom Microsoft Teams tabs using the side loading approach. Please refer to Creating a team manifest manually for a web part to proceed for now and follow the steps in the 'Alternative deployment options' section of this article. Refer to the detailed steps to get started from the Building Microsoft Teams tab using SharePoint Framework tutorial which contains additional important details you must follow. There are multiple options to deploy Microsoft Teams tab. As both SharePoint and Microsoft Teams have their own app catalog, deployment requires operations on both services. Visibility of the new functionality can be controlled by the deployment steps taken. 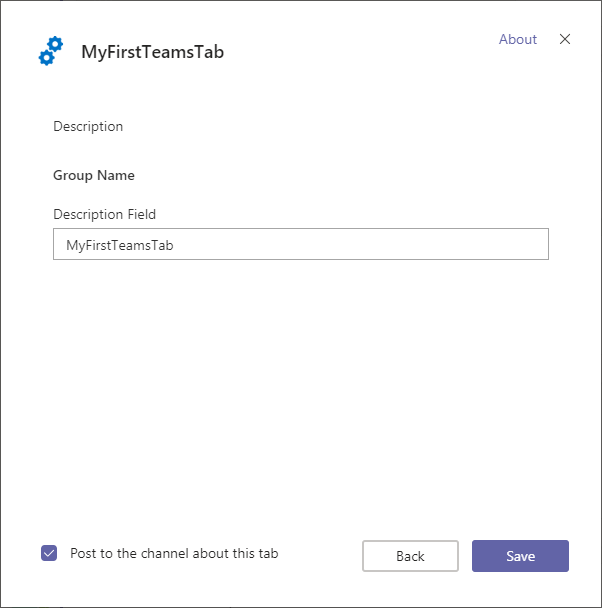 In the future, Microsoft will implement a Sync with Teams button in the App Catalog ribbon that will automatically create the Microsoft Teams app manifest, app package and install it in the Microsoft Teams store. This will make your solution available for all users in your tenant and Microsoft Teams teams. 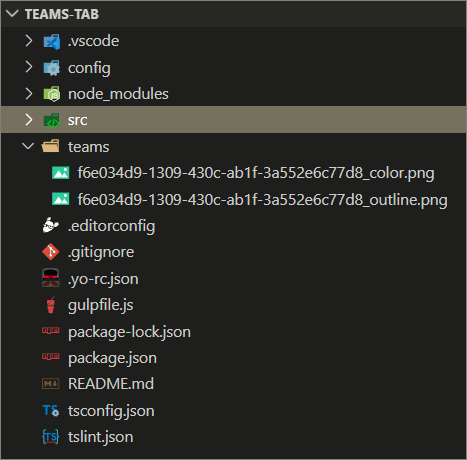 [IMPORTANT] At this time this functionality is not fully implemented and is not the recommended way to deploy your SharePoint Framework web part to Microsoft Teams as a custom tab. This document will be updated when this functionality has been deployed across SharePoint Online. Until that time, the recommended approach is to install SharePoint Framework web parts as custom Microsoft Teams tabs using the side loading approach. There is an alternative way to deploy your solution which will for instance allow you to make a solution available only to one specific team in your tenant. Please refer to Create Microsoft Teams manifest manually for a web part and deploy it to Microsoft Teams how to create the manifest. Notice that there are 2 image files in there. Add the manifest file you created as described in Create Microsoft Teams manifest manually for a web part and deploy it to Microsoft Teams to this folder and call it *manifest.json. After you added the manifest to the ./teams folder, zip the contents of the folder into a zip file. This means that the zip file should only contain the manifest.json and the 2 images. In order to upload an app for a specific team, you will have to enable side loading. The following configuration steps must be performed only once in a tenant. 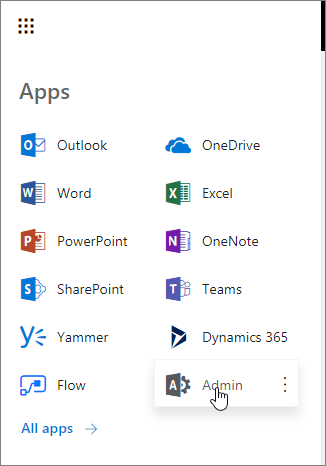 Navigate to the Microsoft 365 Admin center by selecting Admin from the app launcher. The side loading configuration to be done only once in a tenant which you are using. More content on preparing your Office 365 tenant for Microsoft Teams development from the Microsoft Teams developer documentation. 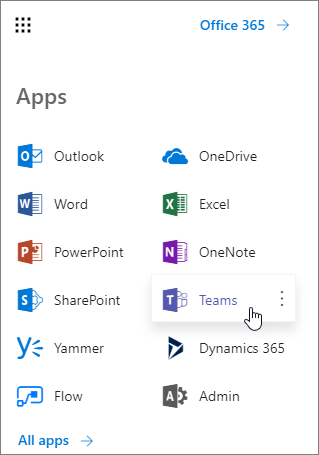 Move to your Microsoft Teams instance by selecting Teams in the app launcher. Choose a Team which you want to use for testing the capability and select Manage team from the ... menu. If this setting is not available, side loading is not enabled in the tenant which you are using. Double check the settings from the tenant admin UIs. Upload the Microsoft Teams app manifest file your created earlier from the ./teams folder under your newly created solution and ensure that it's properly visible in the list of Apps. Notice how the custom image is visible with the description of the solution. 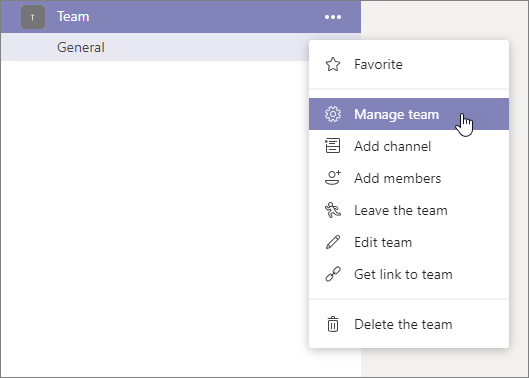 See more information around th Microsoft Teams tab context from the Microsoft Teams development documentation.